The hack was firstly reported when some of the exchange’s customers noticed “a number of elite transactions moving from Bter’s cold wallet to a random Bitcoin wallet address,” NewsBTC.com reported. After the first set of transactions, 7,170 BTC were moved to another wallet. Following the heist, the China-based exchange announced a 720 BTC bounty to whoever is able to rescue the stolen funds. For now all BTER “wallets have been shut down and withdrawals of the unaffected coins will be arranged later,” the exchange said after freezing all services as a matter of precaution. The attack is raising concerns around the fact that the target was BTER’s cold wallet, which works offline. 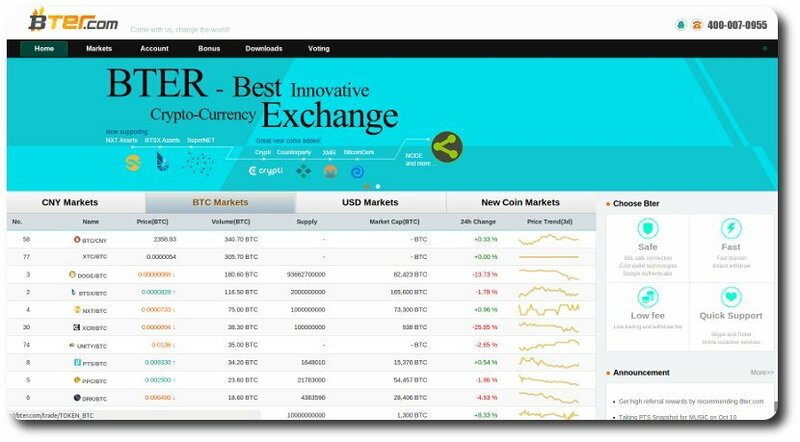 It is not clear at the moment how the hack was carried, but a few online rumours point to the same weak spot exploited by hackers back in August 2014, when BTER lost $1.65 million in NXT funds. The Chinese exchange’s safety debacle is the second major Bitcoin-related hack to hit the ecosystem in less than two months. In January, the Slovenian exchange Bitstamp lost around $5 million worth of BTC within a massive hack, but the company was able to rise again with a new and improved safety system. It looks like the hack has slightly affected Bitcoin’s price. The value of one BTC was a bit over $250 on February 14th, but it has dropped below $235 in the meantime.